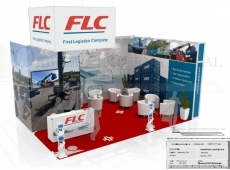 FLC will participate in exhibition “Transport Logistic 2015"
The exhibition "Transport Logistic 2015" will take place on 5-8 May 2015 at Munich Trade Fair Centre, in Munich. Our stand number - 220, hall B5. © 2019 FLC, LLC. All rights reserved.